The Arizona Foundation of Human Service Providers is a non-profit 501(c)(3) organization serving as the educational arm of the Council. The Foundation provides support, education, and training opportunities to Council members, and administers grants. 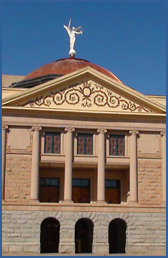 Membership in the Foundation is offered at no cost to members of the Arizona Council of Human Service Providers. Past projects of the Foundation include creation of supervisor training programs and Spanish language interpreter training. Creation of a Supervisors training program through a grant with the University of Arizona. For more information about any of these programs, please contact the office at 602.252.9363.